I had the pleasure of capturing Ryan and Bekah's wedding outside of Los Angeles, California in July. 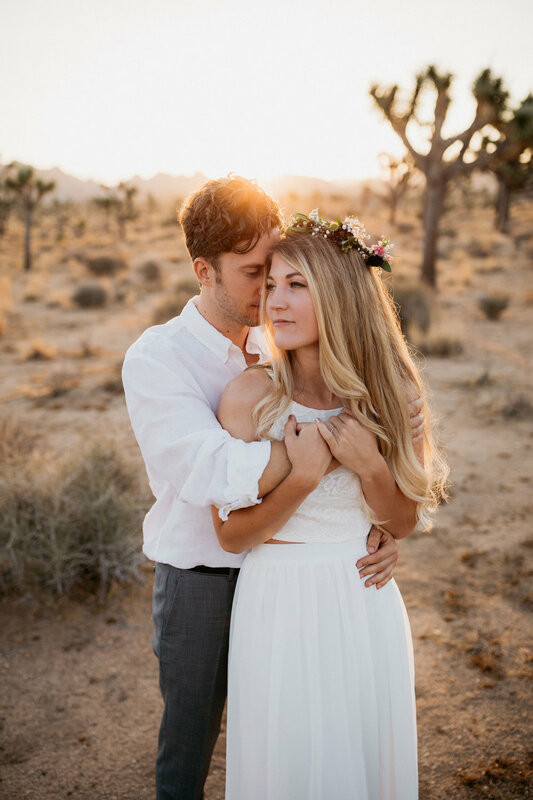 When we first started chatting about the possibility of me becoming their wedding photographer, I mentioned it would be so fun to go to one of California's many national parks and do their portraits. 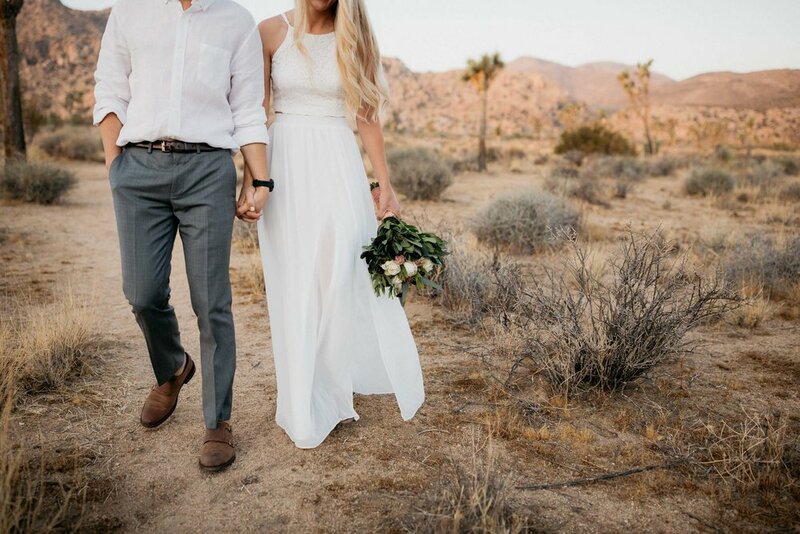 They wanted to save their wedding attire for the actual day, so I threw out the idea of doing a styled elopement shoot, and they were game! 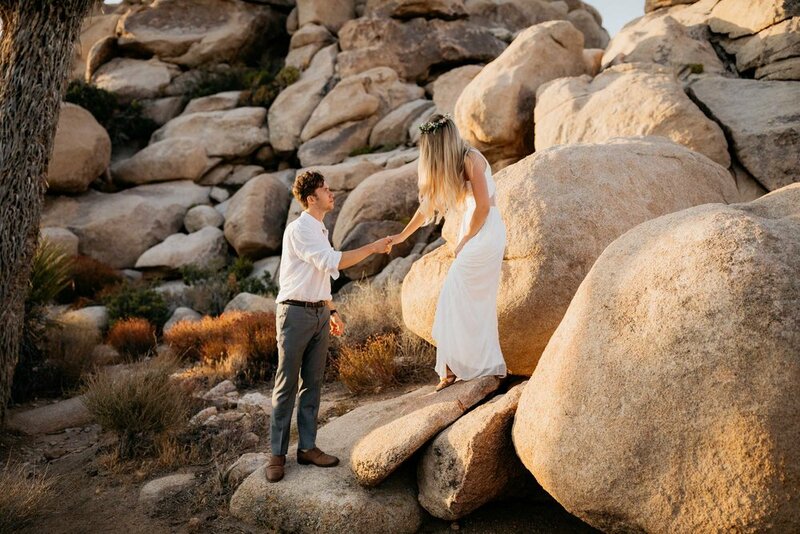 On the day before their wedding, we all woke up at 2:30 in the morning to head to Joshua Tree National Park for sunrise. They were such a pleasure to shoot as they are so in love with each other and their happiness shines through their contagious smiles. After the morning session, I was all the more thrilled to be able to spend the whole next day with them capturing their wedding. Even though this was a styled shoot, it still felt like a real elopement with these two as they spent a relaxing and fun morning in a beautiful location making memories together.